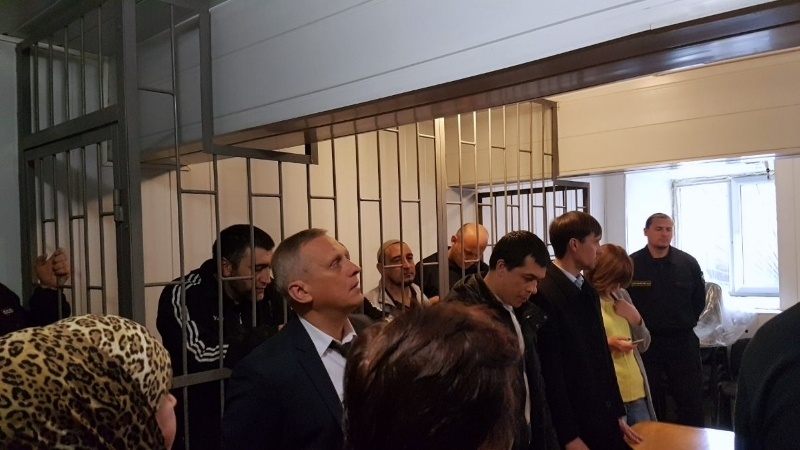 On November 23 and 24, “court” hearings will be held to review the appeals of the "Bakhchysarai four": Remzi Memetov, Enver Mamutov, Rustem Abiltarov and Zevri Abseitov. Dilyaver Memetov, human rights activist informed about the upcoming hearings on his Facebook page. “November 23, at 14:00 and, November 24, “the court” hearings will be held on the appeal of the "Bakhchysarai four": Remzi Memetov, Enver Mamutov, Rustem Abiltarov and Zevri Abseitov, at “the Crimean Supreme Court”, Pavlenko, 2 str., Simferopol," he informed. Reference: May 12, 2016 in Bakhchysarai, Russian special security forces conducted a series of searches in Muslim homes, as well as in a local cafe. As a result, four Bakhchysarai residents (Remzi Memetov, Enver Mamutov, Rustem Abiltarov, Zevri Abseitov) were arrested and accused for alleged organizing and participating in the activities of Hizb ut-Tahrir organization, which is recognized as terrorist in the Russian Federation. The Supreme Court of Russia ruled, starting January 13, 2017, to apply the article 278 of the Criminal Code of the Russian Federation "Forcible seizure of power or forcible retention of power" in addition to the charges of terrorism to the so-called "Hizb ut-Tahrir case".